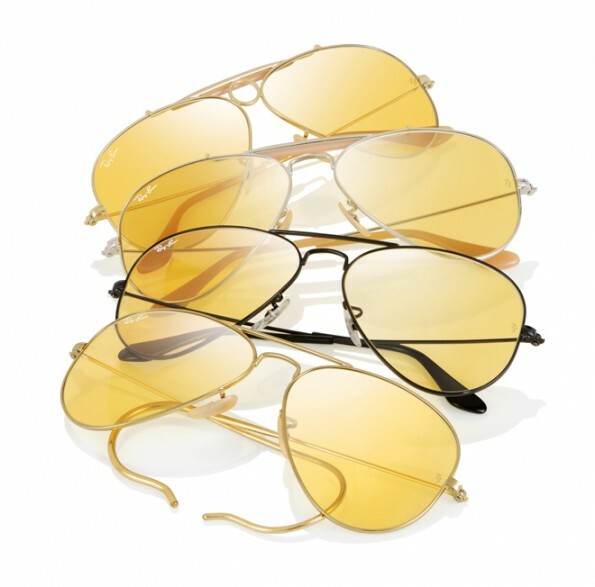 For the Aviator's 75th birthday, Ray-Ban has launched a capsule-Collection called "Ambermatic" that features two redesigns of the Aviator: the Shooter & the Outdoorsman, with photo-cromatic YELLOW lenses, which become darker as the light brightens...Ray-Ban has only produced 18.000 pairs worldwide, they're already on sale ( $ 210,00 ) on their website...hehehe, I really can't miss these RockandFrock's sunglasses...Have a Great Day!!!!!!!!!!! Questo si che e ' un record!! Effettivamente chi non conosce questi occhiali?!? Love these! Great post :) Thanks for following back! These are perfect for you Valeria!!!! Ah WOW! Non sapevo ne' compiessero 75 anni, ne' che avessero fatto questa capsule collection!! Sure we can follow each other, in fact, i've just followed you. I hope you too! tanti auguri al brand e anche se non li amo su di me su tante persone li trovo perfetti come occhiali! Chi non ne ha almeno un paio?? Those aviators look absolutely gorgeous! Adoro i Ray ban e non mi stancano mai!! !bellissima l'idea delle lenti!! Oggi parlo della Maison Francese Carven.Ti piace?passa a trovarmi. Ricambio e ti seguo anch'io stravolentieri!! Io vado pazza per i Ray-ban!! Li compro da sempre...credo siano stati il mio primo paio di occhiali da sole! Poi adoro il giallo...chi mi conosce lo sa bene! I believe they will look great on you Vale. I have tried them a zillion times, but they just look weird on me.